The Medici Family. Donatello. Dante. Michelangelo. Brunelleschi. And of course, the poster girl of the city, Lisa Gherardini (that’s Mona Lisa to you, buddy). 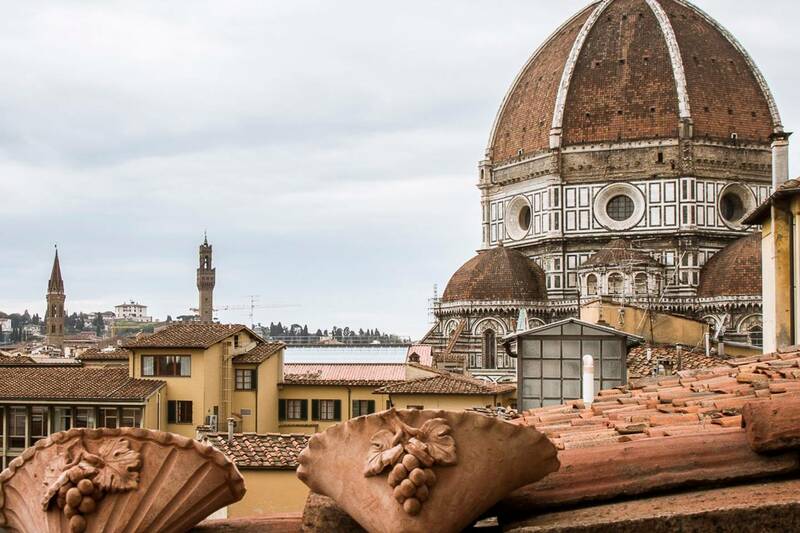 These names are synonymous with the city of Florence, Italy and their legacy can still be felt today in the city’s buildings, bridges, and gardens. 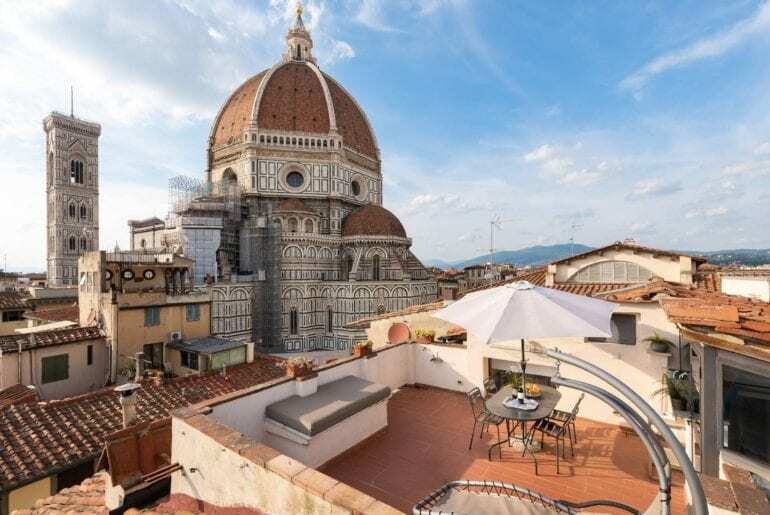 A visual city if ever there were one, Florence is a place with incredible visual magic, which is why we’ve put together this list of 8 Florence Airbnb homes with incredible views. 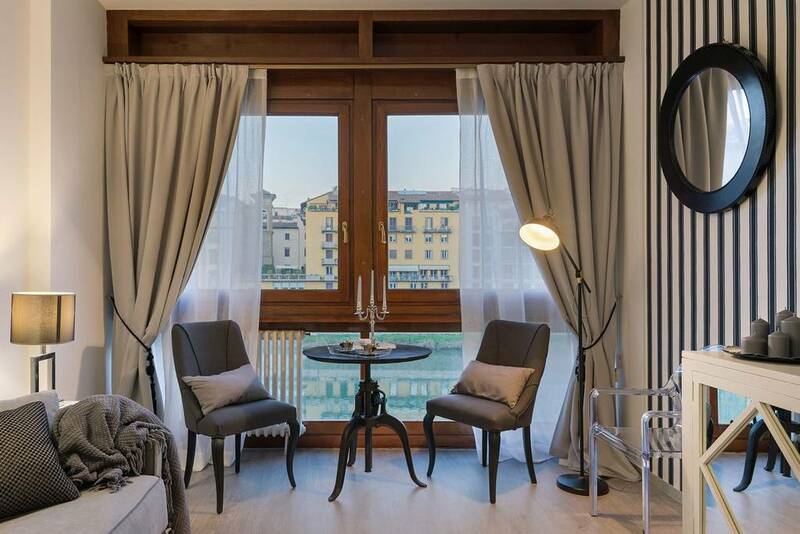 Whether you’re feet away from the Duomo or right across from the Ponte Vecchio, these apartments offer views that are no less than breathtaking. 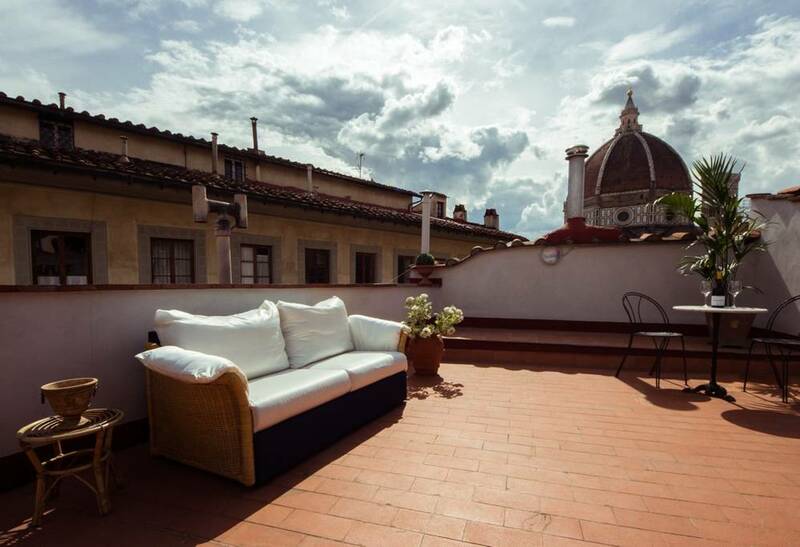 Why do we feel that most people who rent this Florence Airbnb spend 99.99% of their time on the terrace? To say that this is a picture-postcard view is an understatement. 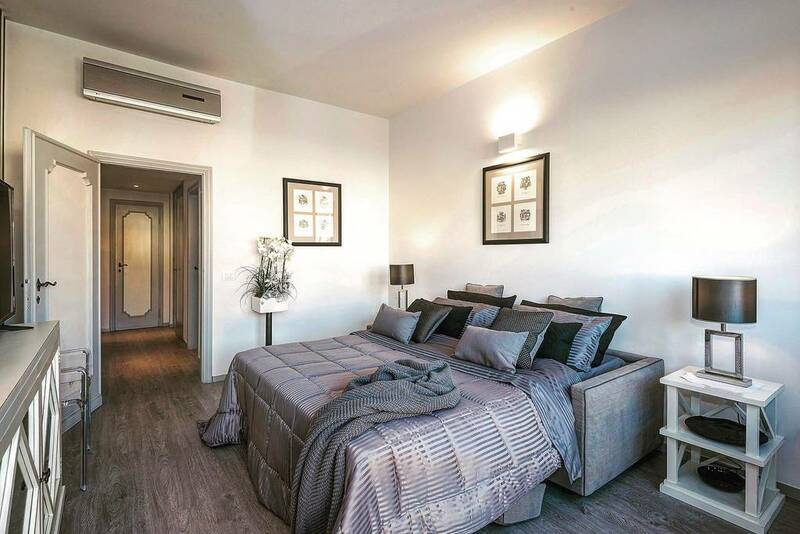 Less than half a mile away from the Duomo, this three-bedroom, two-bath apartment is on the fourth floor of an elevator apartment and sleeps six. 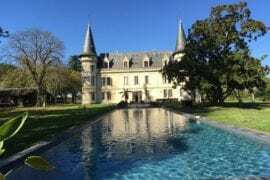 Even though the apartment looks out on to one of the most historic buildings ever built, everything inside is modern including the flat-screen TV, cable, and dishwasher. 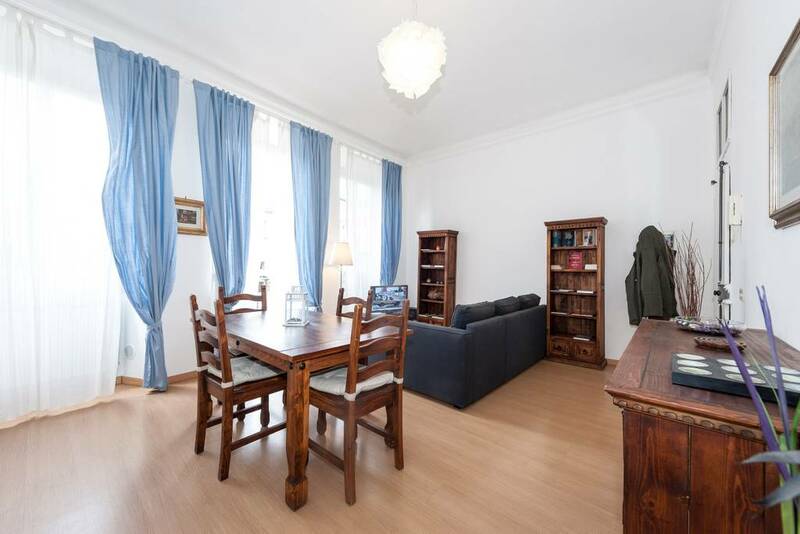 Fully renovated, this clean, bright, happy apartment has everything you need, especially if you’re a cook who wants to take advantage of all those great food markets around town. In addition to the terrace, there is also a skylight through which the light just floods in. 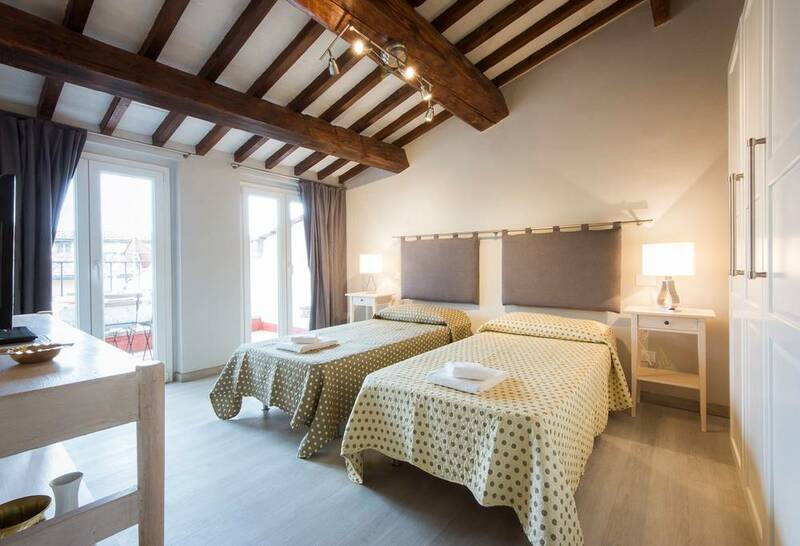 Located in Via dei Servi, you’ll be just a quick walk away from the Accademia Gallery and the Uffizi, although given the incredible work of art you can see from your terrace, you may just want to stay home! 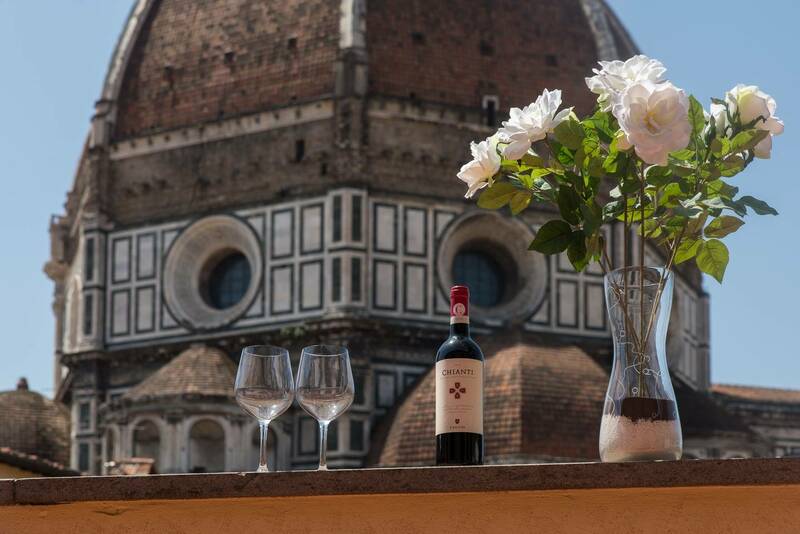 Well, we didn’t think we could find a way to top the Florence Airbnb above for the view, but it looks like maybe we kind of did. 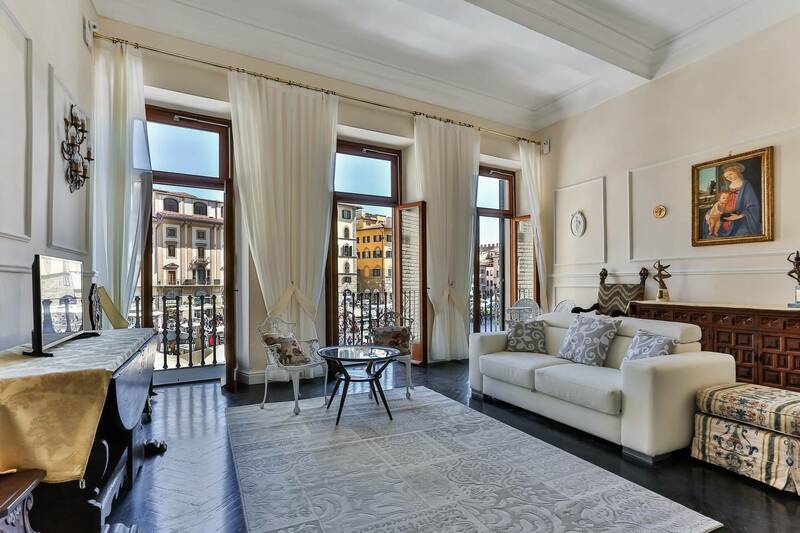 Just over half a mile away from the Duomo this exceptionally tasteful apartment sleeps six in its three bedrooms and two-baths. 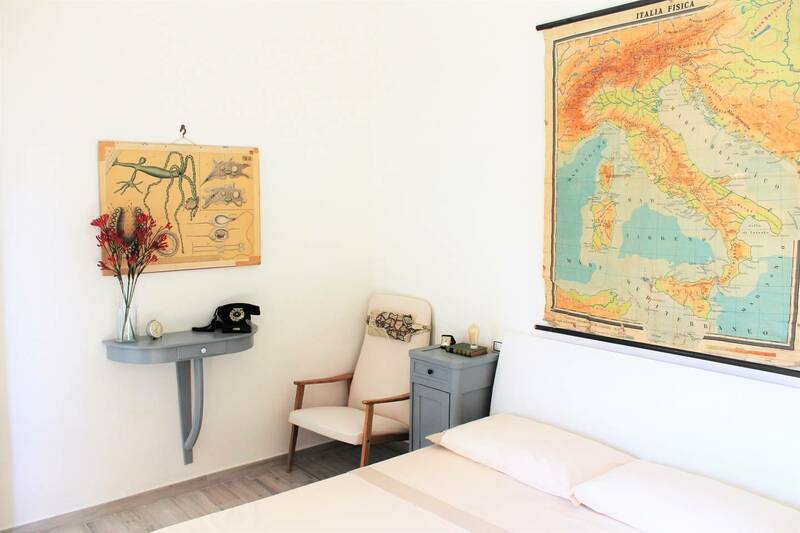 Filled with antiques from local dealers as well as some stunning art, this Airbnb still has all the modern conveniences like air conditioning, wifi, and even a hair dryer. 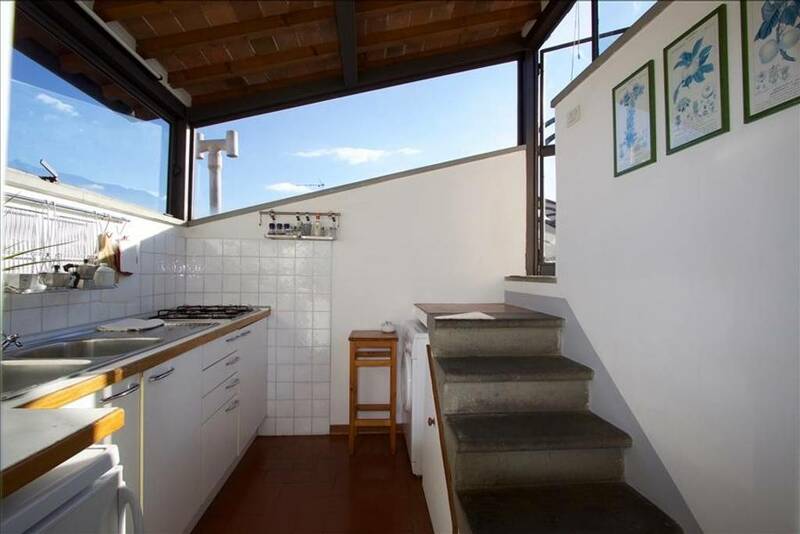 Like the apartment above, this one has an enormous terrace that looks right out on to the Duomo. 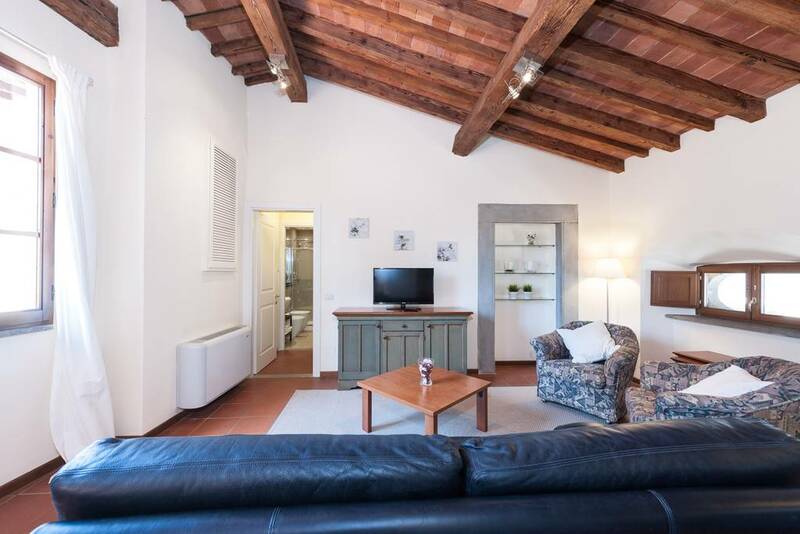 In addition to being so close to the Duomo, this Florence Airbnb is also very close to the world-famous Caffé Gilli, the remarkable Museo di Casa Martelli, the fascinating, if slightly macabre Museo di Antropologia and even a branch of the Eataly chain! While this fifth-floor walk-up will definitely test your fitness level, the rewards are worth it once you make it to the top. 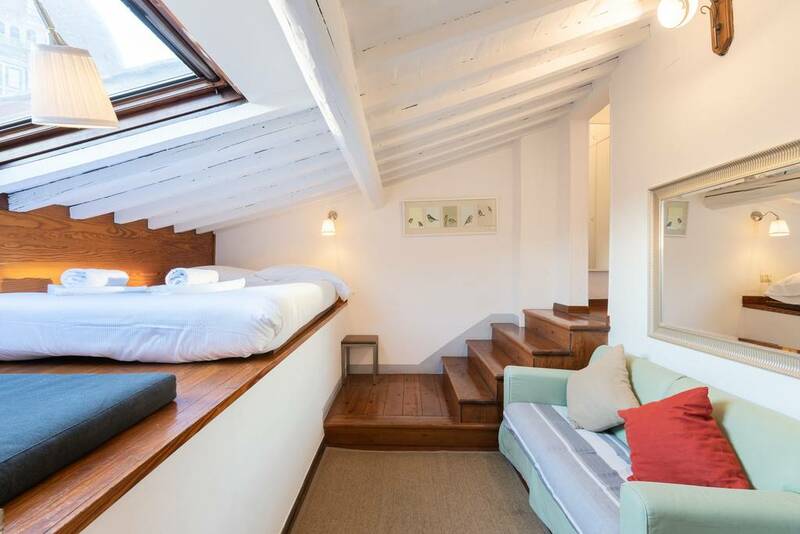 With one bedroom and one bathroom, this Florence Airbnb accommodates up to four people, although you can probably count on at least one having their head out the window most of the time! 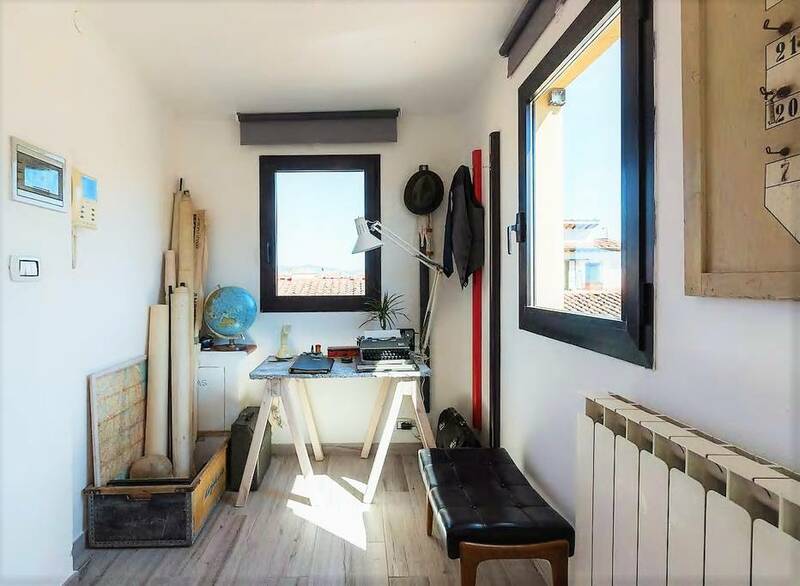 Decorated in a vintage/hipster style, this apartment has the requisite turntable and typewriter (the perfect place for guests to leave their thank you notes!). 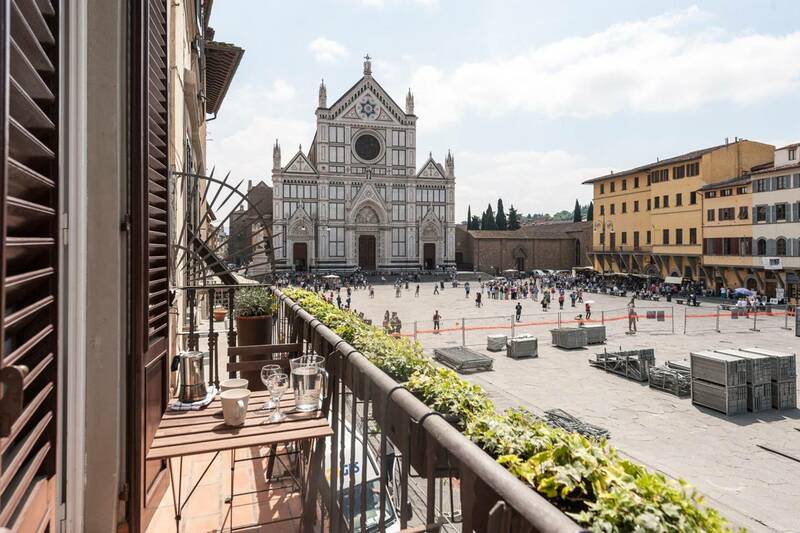 In addition to the Duomo, it’s also within walking distance to the train station and the dramatic Santa Maria Novella Church. If you’re up for a little bit of a walk, you can visit the Museo Salvatore Ferragamo, which is one of the most unique museums not just in Florence, but the world. If you’re into shopping, you’ll want to stop into Pineider, a legendary stationery store where you can get monogrammed stationery and leather goods as well as Loretta Caponi, one of the most incredible linen stores on the planet. Also, be sure to check out Officina Profumo-Farmaceutica di Santa Maria Novella Firenze, one of the most revered perfume stores in the world. 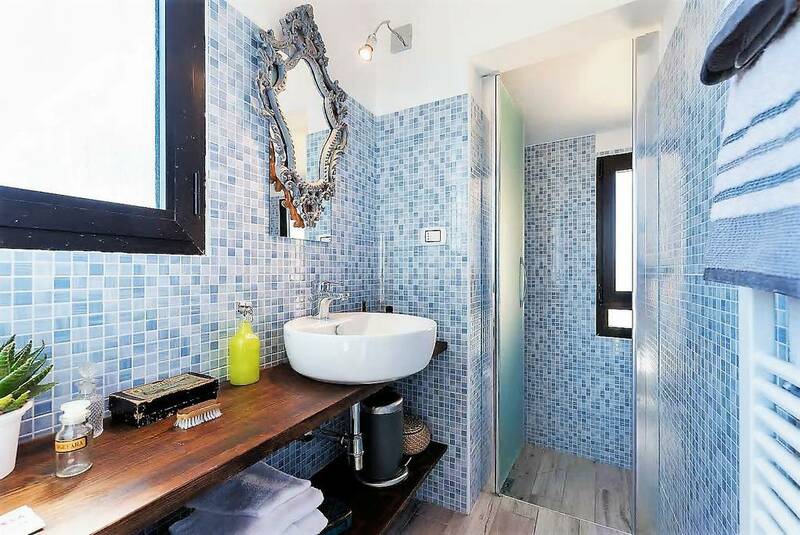 This apartment will certainly have you coming out smelling like a rose! 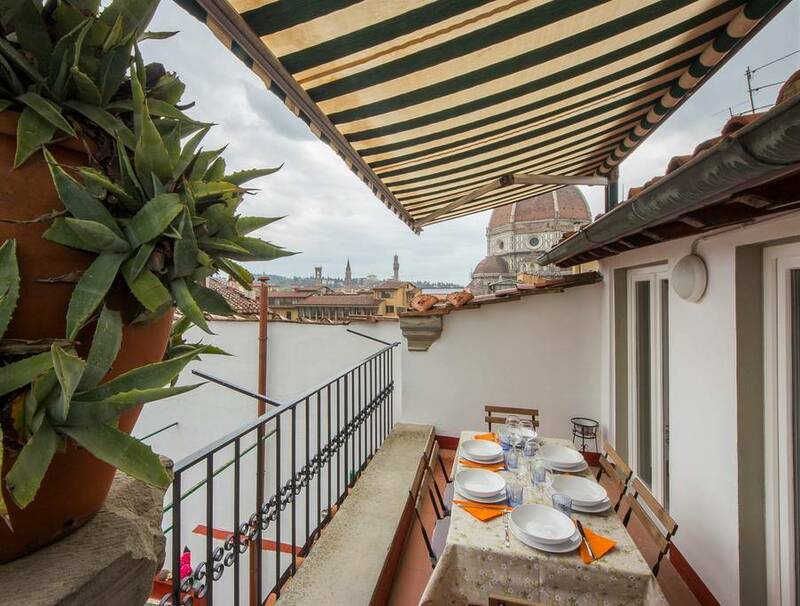 The terrace of this Florence Airbnb is so close to the café tables you can almost reach down and take a bite off someone’s plate! We might be exaggerating a little, but not much. 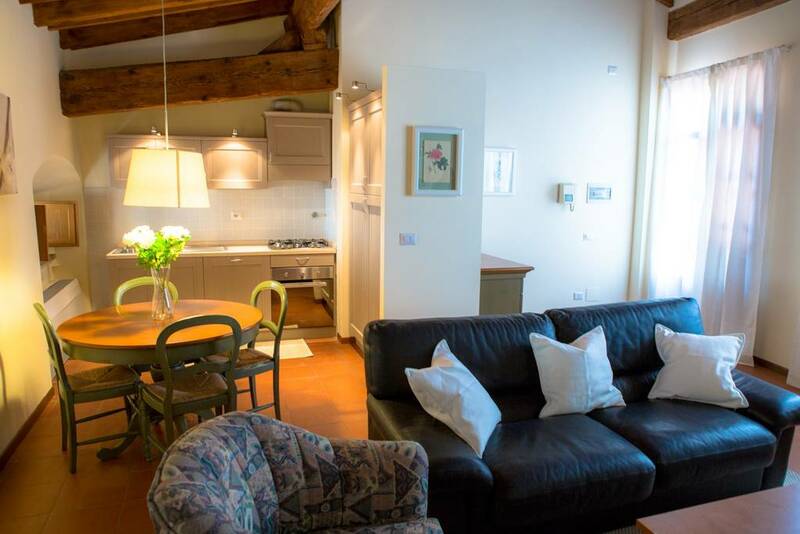 Located just above the Piazza della Signoria, this apartment will put you right in the heart of the Florence experience and while it won’t offer peace and serenity (it’s the main square so expect a certain noise level), it will offer you an easy way to see absolutely everything including the deservedly historic Ponte Vecchio where you can spend hours shopping for gold Florentine jewelry, leather goods and linen or frankly, just people watching. While can sometimes feel as if it might collapse under the weight of tourists and consumerism, it’s still well worth a nice languid walk. Once you cross the bridge, you’ll be near the Boboli gardens which, to put it mildly, is an absolute must, must see. And of course, if you’re going to be on that side of the Arno, don’t miss the Galleria d’Arte Moderna or Gallery of Modern Art (although, when you go, keep in mind that “modern” is a relative term when comparing the American idea of modern with the Italian one). And of course, you can cap off your day with a lovely drink on the balcony where you can figure out tomorrow’s plan of attack! 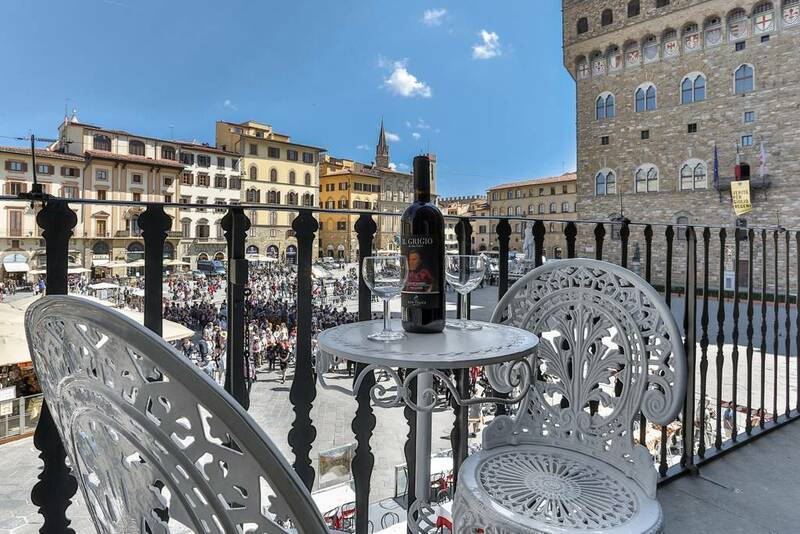 We have one warning about this place: Once you’ve cooked in a kitchen that has a view of the Duomo, it’s very hard to cook anything ever again. Amazingly, that famous dome all but follows you throughout this apartment, appearing in skylights and windows, pretty much all over the apartment. 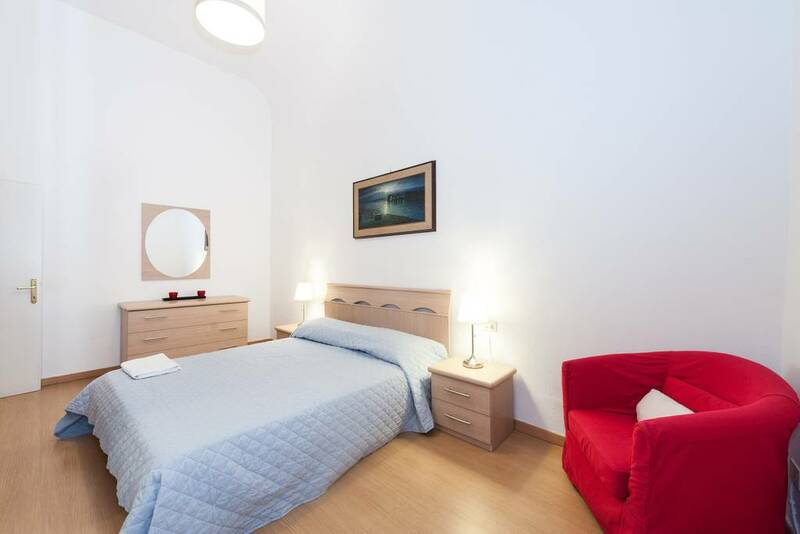 While it’s a one-bedroom, this apartment sleeps four and, as you can see, has a terrace that will accommodate a few friends if you happen to make any. It’s on the fourth floor of a building without an elevator but once you get to the top, the reward is kind of incredible. 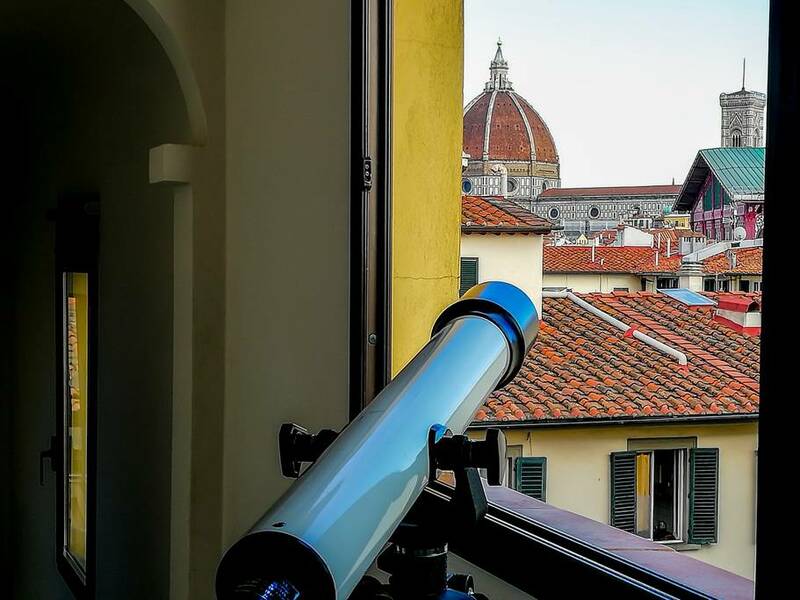 Close to the Galleria dell’Accademia (where the original statue of David is housed), the incredible Cabinet of Curiosities that is the Museo Galileo, and the Leonard da Vinci Museum, a perfect choice if you’re staying in a place where the sun follows you as you move. 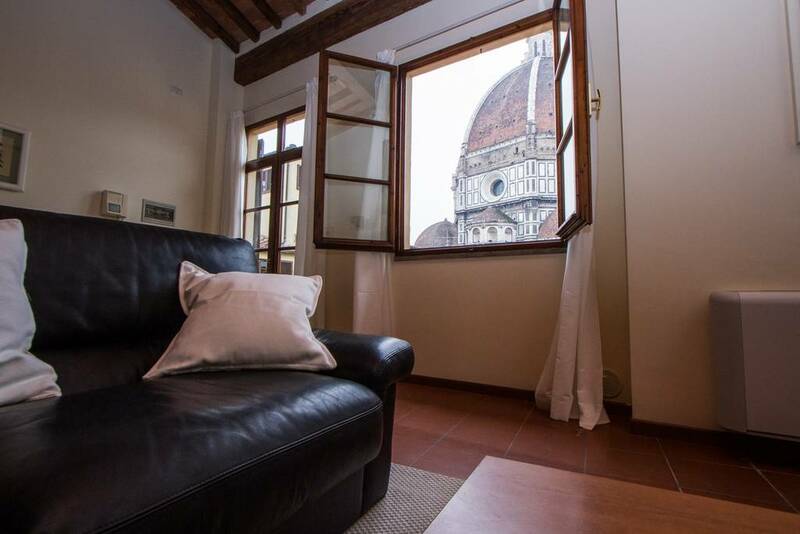 OK, try something for us: Open the window of this Florence Airbnb and look out at the view. OK, do you hear what we hear? 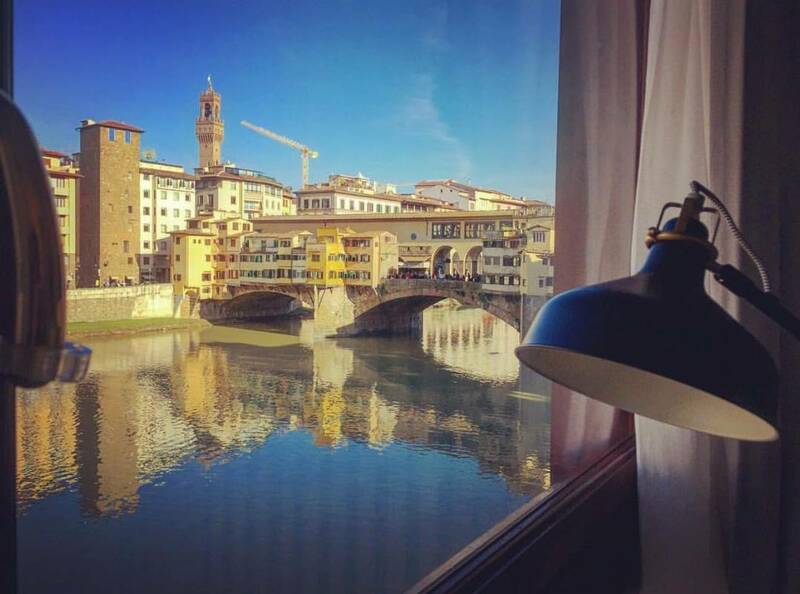 Because we can’t look at that view of the Ponte Vecchio and help but hear the intro to “O Mio Babbino Caro”! 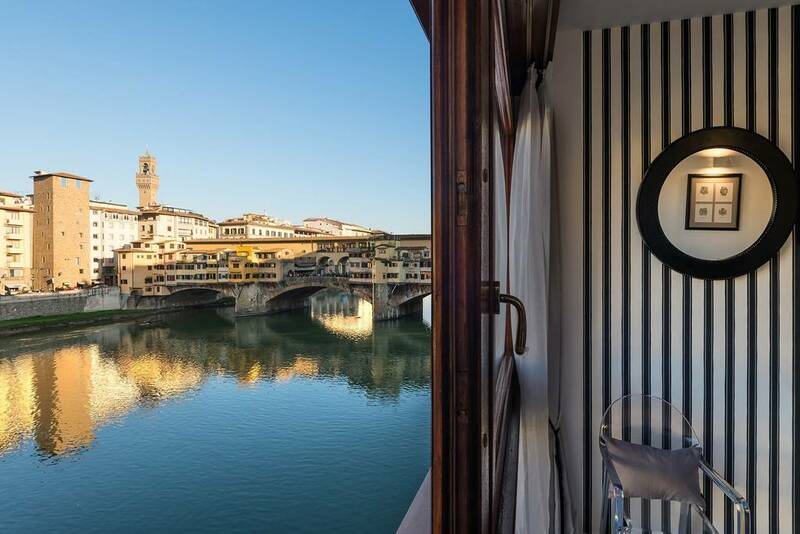 Just like the movie of the same name, this incredible “Room With a View” is one of the most romantic Airbnbs in Florence. 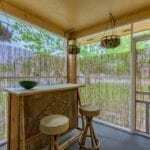 Beautifully appointed and tastefully decorated, this Airbnb studio sleeps just two, making it a great place for a honeymoon, babymoon, or just a quick getaway. While you’re here you must see the Palazzo Pitti (otherwise known as the Pitti Palace), especially the Boboli Gardens and the incredible treasures in the Palatina Gallery. Depending on what time of year you’re there, another wonderfully romantic attraction is the Giardino dell’Iris, a garden that celebrates the iris, the city’s symbol. For a slightly less romantic, but equally interesting experience, make sure to visit La Specola, Florence’s natural history museum. Wherever you go here, you’ll make some great history of your own! 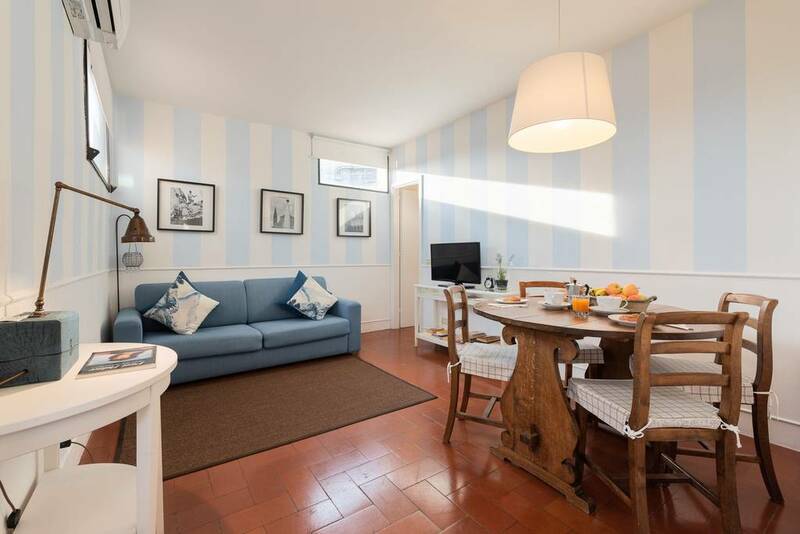 If you’re in the market for a place with a great view but would love to stay out of the tourist areas, the neighborhood of Santa Croce is a terrific choice! Quiet, family-oriented, and full of great local restaurants (not to mention supermarkets), this mostly residential neighborhood is a great place to return to at the end of a long day of sightseeing. 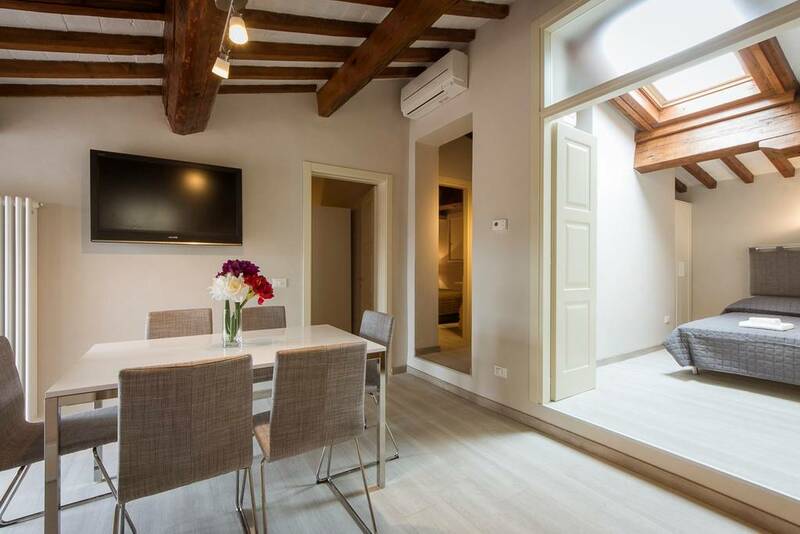 With room to accommodate up to five people, this Florence Airbnb is a great place to come with a family. 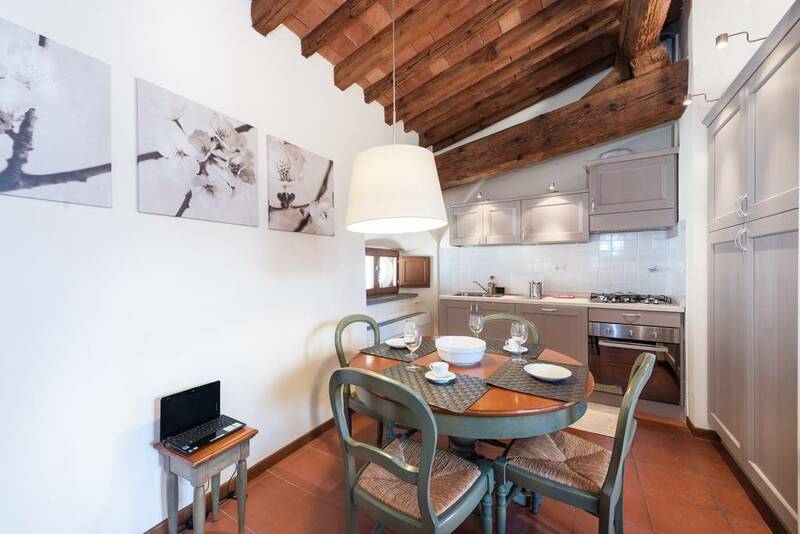 Right on the Piazza Santa Croce, this spacious flat has the perfect terrace to sit and have your morning coffee and watch the people of Florence begin their day. When you venture out, be sure to have a bite at the Mercato Alimentare Sant’Ambrogio, a food market that rivals the best restaurants in the city. Also, be sure to visit the flea market, Largo Annigoni which was formerly the Piazza dei Ciompi (they moved it a few years ago to clean out all the asbestos in the building). For another great, out of the way experience, visit the incredible sculptures and gardens of the Giardino di Pal Vivarelli Colonna. 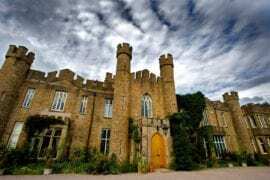 Of course, if you do want to see the more mainstream attractions, you’ll only be about a 15-20 minute walk away! Just to leave you with one last Florence Airbnb with an incredible view of the Duomo, here is a one-bedroom located in the Via dei Servi 3 with a view so remarkable that you feel as if you could jump from here to the top of the dome (but you definitely can’t, so don’t!). 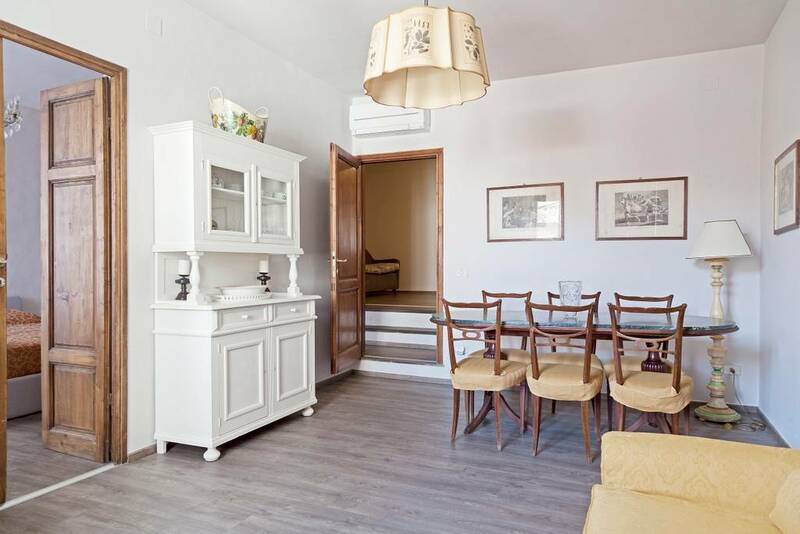 Spotless, well equipped with anything you’ll need, and literal steps from the Duomo, this apartment is perfect if you want to see all the major sites of Florence from a very centrally located home base. 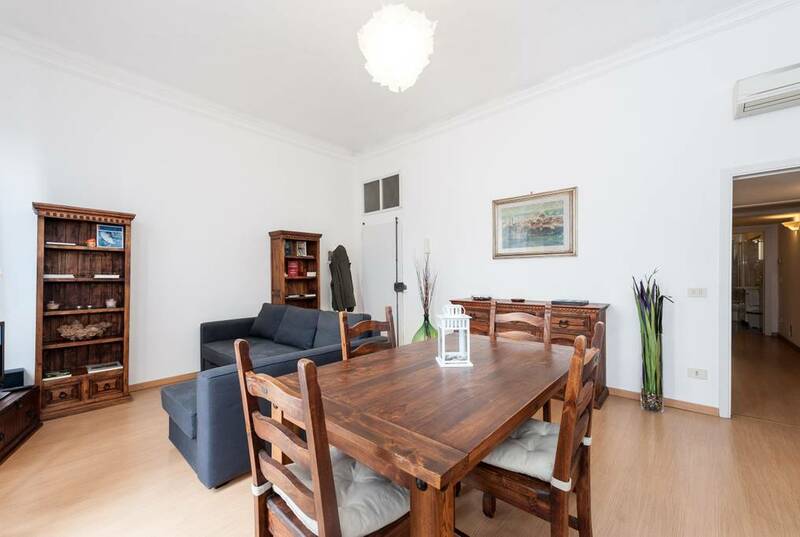 With wooden ceilings, a modern kitchen, and a terrace with a completely unobstructed view, we can’t think of anything this apartment doesn’t have. 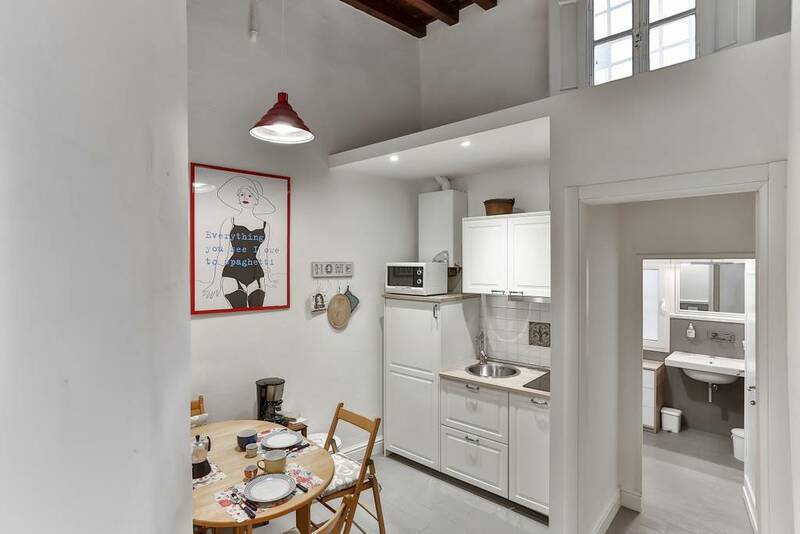 Try to get to the Museo Casa di Dante, a building that was once the author’s home and while he may have written about Hell, this Florence Airbnb is nothing but heavenly!